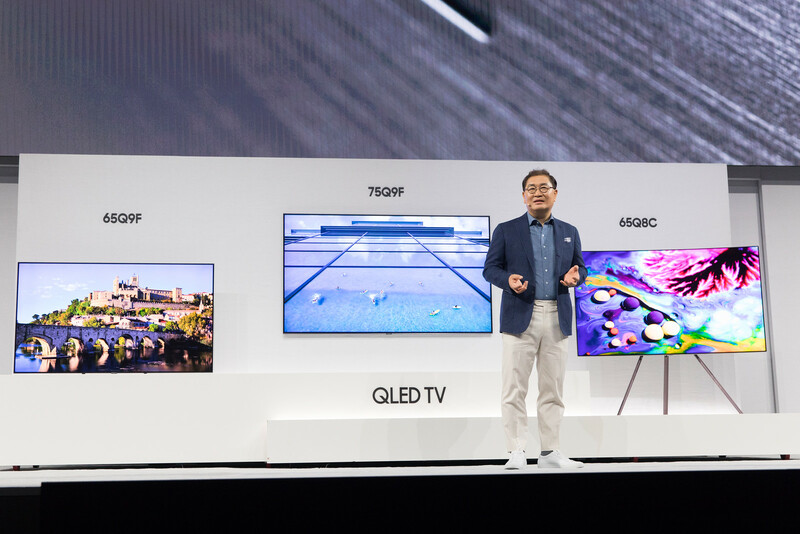 The 2018 QLED TV lineup includes major improvements in both hardware and software. During today’s Samsung “First Look” event in NYC, the company revealed their full 2018 lineup of QLED TVs. A few of the initial models such as the Q6FN ($2,200) and Q9FN ($3,800) are reportedly scheduled to begin releasing as early as the end of March. Each new QLED TVs boasts a unique list of specs and details, meaning that no matter your TV needs, Samsung has a little something for everyone. As of right now, Samsung has yet to provide pricing details for every model in their 2018 QLED TV lineup, so if you’re considering picking one up you’ll need to check back in for specific price point and release date information. To help you get a better sense of what’s on offer, though, we put together a full list of all 2018 QLED TVs on display at today’s Samsung First Look event in NYC! Resolution: 4K resolution w/edge LED lighting and frame dimming rather than local dimming. Includes a brightness capable of reaching 1,000 nits. Resolution: 4K resolution w/edge LED lighting and local dimming across hundreds of different zones. 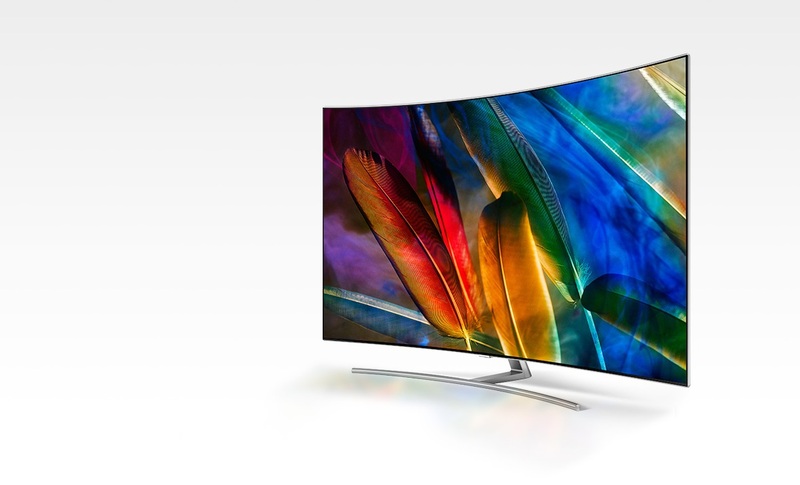 Resolution: 4K resolution on a curved screen w/edge LED lighting and local dimming across hundreds of different zones. Includes a brightness capable of reaching 1,500 nits. Resolution: 4K w/direct LED lighting and local dimming across hundreds of different zones. Resolution: 4K w/direct LED lighting and local dimming across hundreds of different zones. Includes a brightness capable of reaching 2000 nits. Resolution: 8K w/direct LED lighting and new “micro-dimming” precision light control system. Of the QLED TVs announced for 2018, the Q9SN is arguably one of the most exciting. This is because the TV is set to offer 8K resolution as opposed to 4K resolution. It also includes a new processing system capable of converting non-8K sources over to 8K along with Samsung’s new micro-dimming technology. For those wondering what micro-dimming is, it essentially helps the Q9SN output different levels of light simultaneously, all from a variety of separately controlled LED zones behind the screen. The end result is a truly gorgeous, vibrant screen contrast that’s exclusive to the Q9SN. In regards to the other models, this year’s QLED lineup will feature last year’s Samsung Quantum Dots. However, the Quantum Dots have seen significant improvements after the company decreased their wavelength width. In addition to impressive hardware upgrades, Samsung detailed some of their latest software changes. 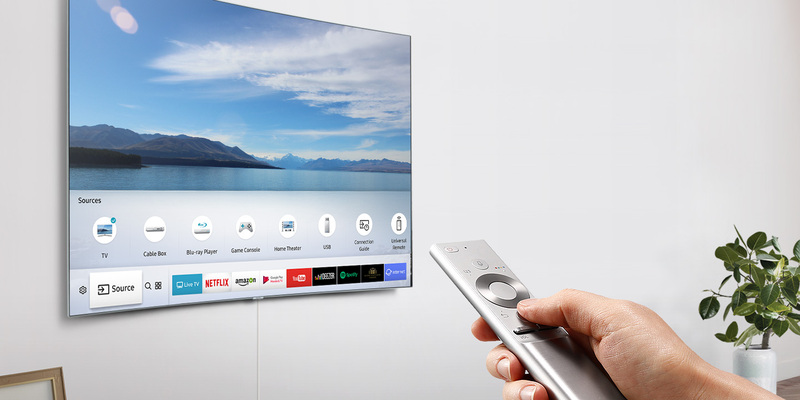 For example, the TVs will offer something called “liquid crystal phase difference compensation,” which is a fancy term for software capable of reducing diagonal light leakage by up to 40%. The 2018 models will also have their greyscale separately controlled by Samsung’s Q Engine processor, resulting in improved shadow detail. The Q Engine is certainly a force to be reckoned with thanks to its multitude of capabilities, and the fact it offers 16-bit color mastering. Another notable aspect of the Q Engine processor is its ability to apply a “virtual HDR10+ effect” to standard HDR10. 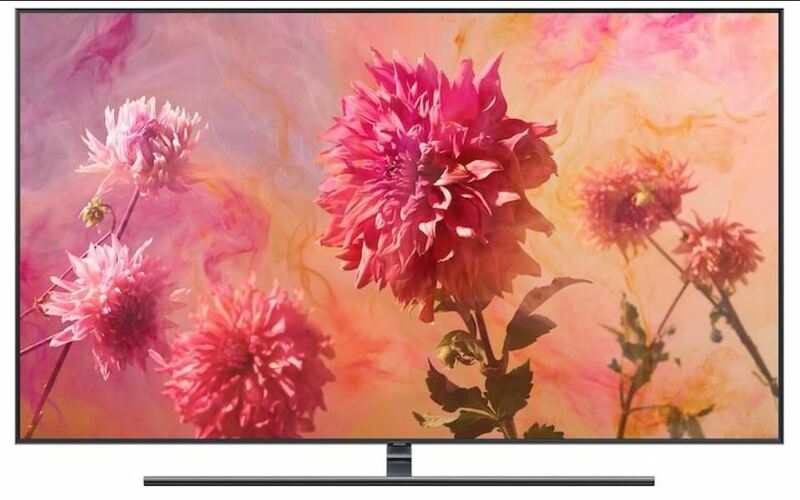 Although, it’s worth noting that every 2018 QLED TV model from Samsung will reportedly support an HDR10+ format. This year’s QLED TV lineup will see a major change to AV power thanks to Samsung’s “Invisible Connection” cable. With this in place, you only have one cable at the back of your TV to worry about (which is pretty convenient). This year’s Invisible Connection cable is also stronger than its predecessor thanks to an improved clip system and sizes up to 15m. Alongside the Invisible Connection cable, a new design feature called "Ambient Mode" was unveiled. With Ambient Mode, QLED TV owners can keep their screen on even if they’re not watching. It does this by displaying things like screen savers, artwork, news, and more. While you may not explicitly need Ambient Mode, it's nevertheless a nice feature. Plus, Ambient Mode has been specifically tailored to use less power when selected, and to automatically adjust display brightness based on the light levels of the room. Meanwhile, the 2018 QLED TVs will offer a Universal Brows & Play system which brings several platforms (such as Netflix and Amazon) together on a single screen. 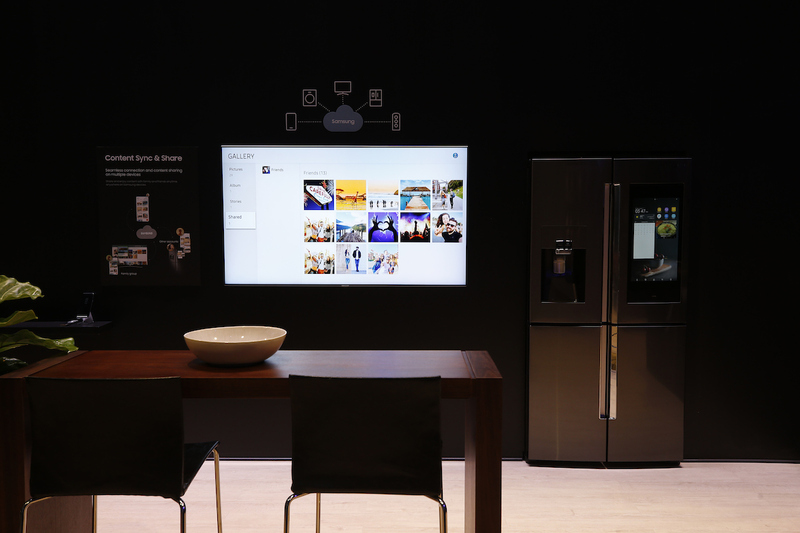 There’s also a new “Smart Things” dashboard, which enables users to access other smart devices from Samsung such as lights and washing machines. Finally, Samsung has made major changes in the realm of gaming. Not only will the 2018 QLED TVs offer impressive resolution options (we’re looking at you Q9SN), they automatically detect when a gaming source is connected before activating the requisite low-latency Game Mode. This is coupled with Samsung’s dynamic frame rate system, which is capable of detecting when the frame rate for a game drops under 60fps. In response, the system begins interpolating extra frames of image data in order to reduce tearing. In conclusion, Samsung came out swinging with their 2018 QLED TV models, and there’s definitely something for everyone in Samsung’s new lineup. If you’re in the market for a TV upgrade (say you just bought an Xbox One X), we highly recommend checking out Samsung's impressive 2018 QLED TVs!